This ‘Place’ is a beautiful restricted residence addition to Dallas (being inside the corporate limits), having all of the advantages possible for money to obtain, having already under way a number of handsome residences, as well as a number already finished and occupied. All streets paved with Bitulithic. Sidewalks, curb and gutter of first class cement. It is impossible to describe this place as it looks now, hence we ask that you let us show you, or ask that you go out via Swiss, Gaston or Junius streets and see for yourself. All of these streets are paved into town or into the main streets to town. 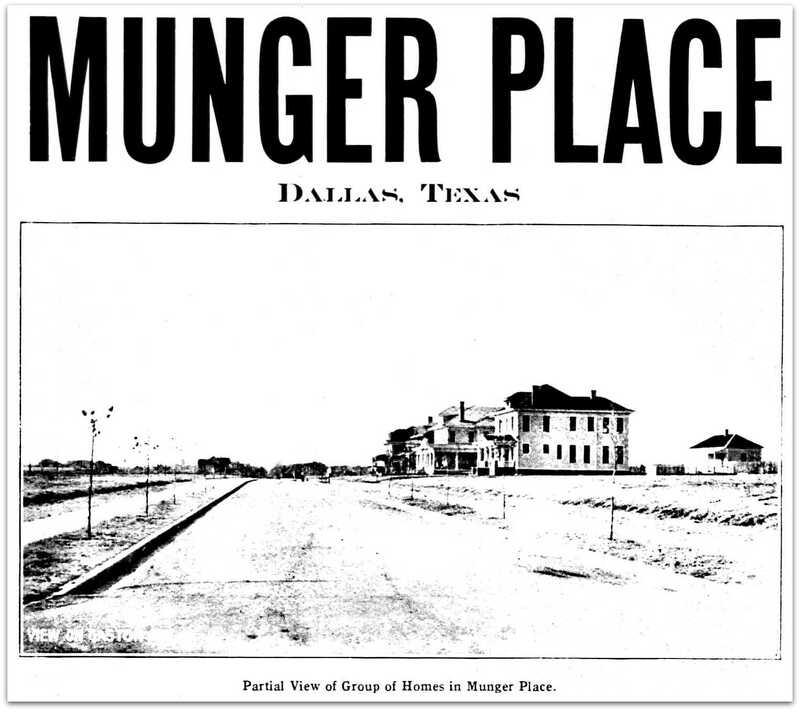 Info on the Munger Place Historic District on Wikipedia, here, and at MungerPlace.com, here. Click top image for a much larger image. cotton feilds was the term in 1908…..just pure cotton feilds…..